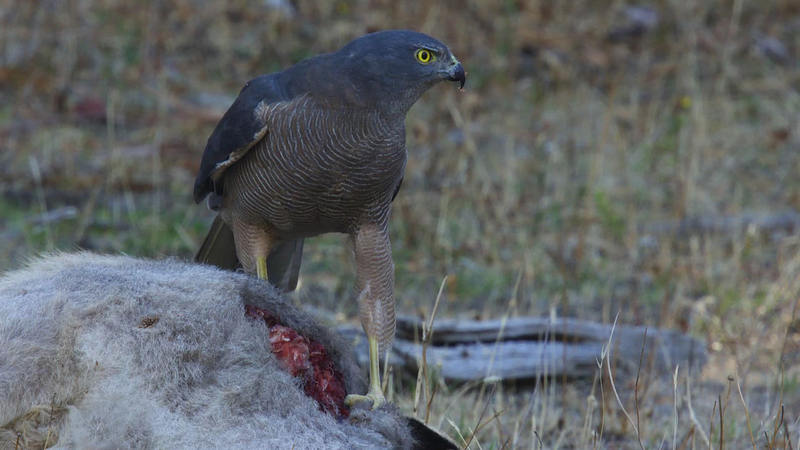 I filmed this female Brown Goshawk on a fresh kangaroo (road kill) in the Bendigo region. Bold hunters – but happy to take carrion too. Next Square Tailed Kite – what a placid bird!